The use case shows how to automatically fix the selected modules in implementation netlist. Only when RTL changes are known to be isolated inside the specified modules. 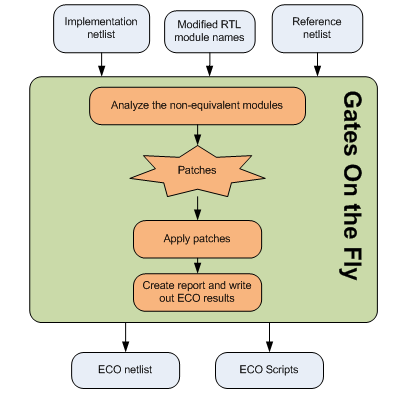 Users provide Implementation netlist which is under ECO, Reference netlist which is re-synthesized after RTL modification and the name of top level module that contains the changes. 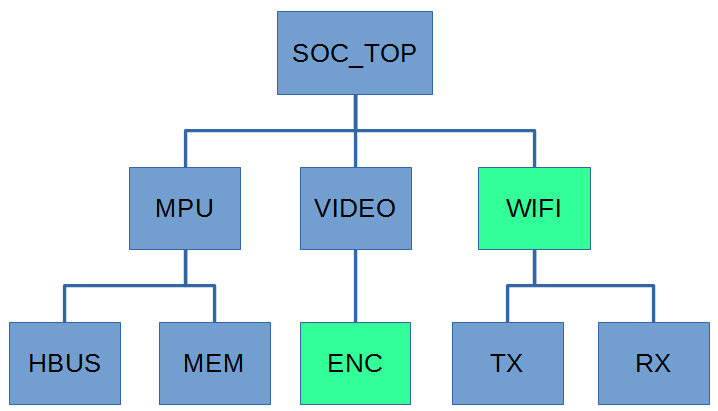 A hierarchical design as shown in the chart below is known to have only two modules modified, WIFI and ENC, and the changes are isolated in these two modules not propagating through hierarchical ports.